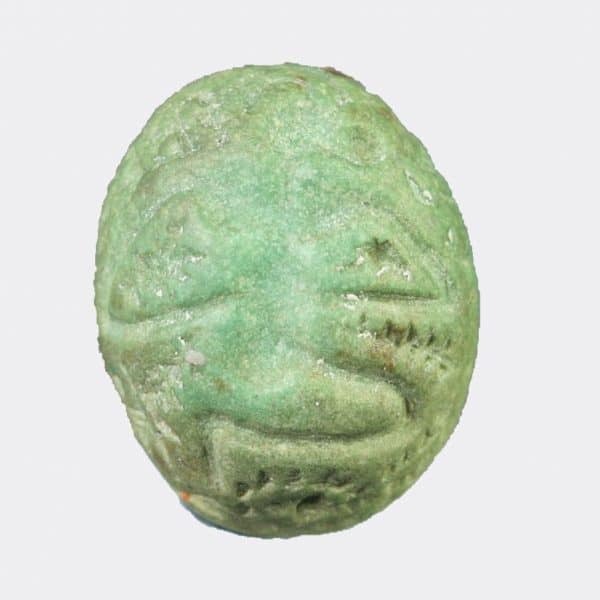 A green stone stamp seal depicting a kneeling figure with a horned animal head. Ex. 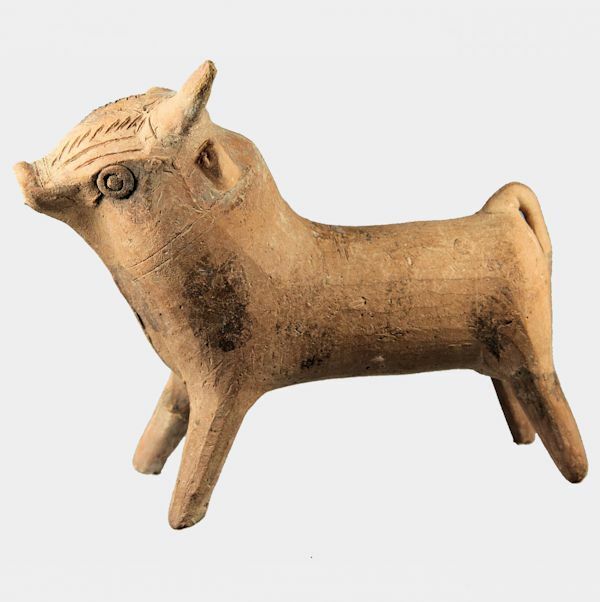 private collection, New York, USA; acquired from Ariadne Gallery, New York, during the 1980’s.